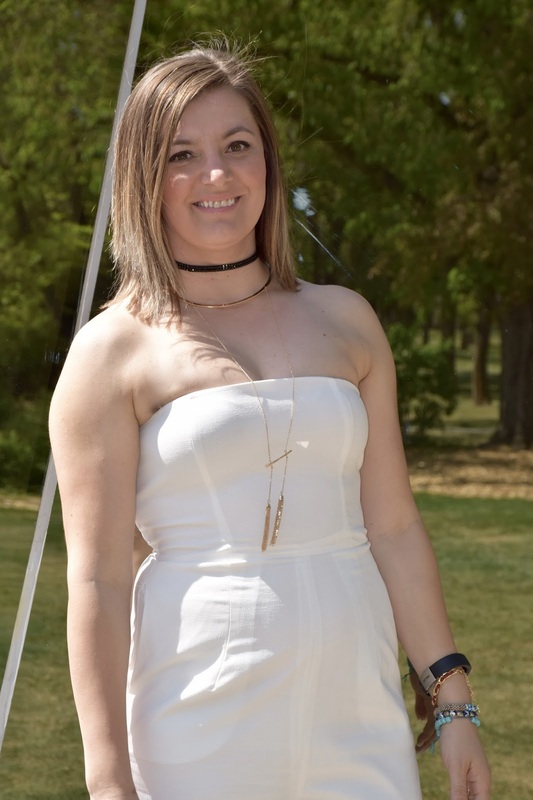 As a general rule I usually don’t gravitate towards one-and-done pieces, however I made an exception with this perfect white jumpsuit from Tobi. What drew me to this version of the jumpsuit was the high waist wide legged pant. I also like that it cropped below the knee, which gives it a formal but fun vibe. I wanted to keep the look simple and elegant, I wore my favorite leather and gold choker and black strappy heels. If you are new to Tobi you get 50% off your first order. You can get all the amazing things you need to update your summer wardrobe... like high wasted shorts and tank tops, t-shirt dresses, semi formal dresses for all the weddings, grads and other events you have to attend this summer. Tobi also offers a good selection white dresses to show off you wicked tan this summer... and all at 50%! How amazing is that? So sassy - love the look!